Using a Re-writable Disc in the form of a CD RW or DVD RW is of great use; you can copy or burn contents multiple times as per the speed of the writing in that media. When there is no more free disk space in the CD or DVD, only then does the contents need to be deleted in order to use it again. 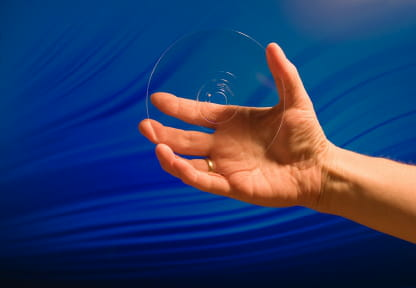 There is no need to format a new CD RW or DVD RW in its very first use. The erasing can be done by using popular burning software like Nero Burning Rom, Burn At Once, Super Blank, Sonic Digital Media, Deep Burner, or even with CD Burner XP. It is not necessary to format a rewritable disc in the first use. However, when data is recorded on rewritable media and there is no more space available, it is necessary to delete the contents again to burn new data. Erasing rewritable disc to quickly clear the data and free space. Nevertheless, it is possible with specialized tools to recover deleted data. Completely erase the rewritable disc, to securely delete the data - this takes much longer. This method is used when the disc contains data. Click on finalize the disc. Run the software and click on the small "Erase Rewritable Disc" button (Disc with 2 green arrows). Run the software and the option is directly offered. Published by jak58. Latest update on November 8, 2012 at 04:58 PM by Jean-François Pillou. This document, titled "Erasing a re-writable disc (CD-RW/DVD-RW/DVD+RW)," is available under the Creative Commons license. Any copy, reuse, or modification of the content should be sufficiently credited to CCM (https://ccm.net/).